At Urban Piping Ltd., we love what we do and it shows through our attitude and the service that we provide. We have been providing fair low prices to Calgary, AB and the surrounding areas since 2008. Our friendly plumbers always treat your home as if it were their own and we strongly believe in honest, up front, hassle free pricing. Our plumbers are punctual! We understand nobody wants to wait around all day. Every journeyman plumber on staff at Urban Piping is licensed, background checked, insured, bonded, and drug tested. We only employ the best and the brightest plumbers to ensure the highest quality service for our customers. CALL (403) 988-3801 NOW FOR IMMEDIATE SERVICE. What to Expect from Urban Piping Ltd. Friendly and courteous plumbers that are easy to talk to. Professional plumbers in a company uniform and clearly marked company vehicle. Our plumber will diagnose the situation and will advise you of any necessary procedure. Our plumbers will then get to work solving the issue in a timely manner. Clean up is important! We work to make sure the job site is left in an acceptable manner. Graham from Urban Piping arrived on time and had everything ready to go. He gave me a quote for $700 to do a Garburator in my kitchen. He inspected my existing plumbing under my sink and then explained to me the process and immediately went to work. Not only does the garburator work great but now the plumbing under my sink is very clean and organized. The invoice on my bill was BELOW the quote. I didn't think that was possible but I was extremely happy. I HIGHLY recommend having the guys at Urban Piping as they did the job right the first time. I will definitely be using them again when I do my basement renovation! these guys are the best company ive ever dealt with. truly blown away by Graham and the boys! loved dealing with these guys for a wide variety of plumbing throughout the years. best services and price. The guy with the beard was fun to hang out and talk with while he did work on my entertainment room. Urban Piping did an outstanding job replacing the poly-b throughout our house, replacing toilets and flushing drain lines. We were impressed with the customer service, prompt response time and attention to detail through the estimate process. Going through the findings, I learned a lot about the house because Graham took the time to show and explain things to me, even well outside the scope of work. These guys do the entire job, including the refinishing work to walls, ceilings, etc so my job was easier, I didn't have to research and hire separate contractors for anything! Graham also helped us to make smart decisions about specific pieces of work to stay in budget.When it came time for work to begin, he walked me through what to expect through to completion. Attention to detail is beyond thorough with this crew! Everything turned out exactly as we expected and on budget, and the quality of the finishing work is so good that my family can't tell where the walls were opened up! They ran air scrubbers and took great care to protect the house from damage or traveling mess; it was cleaner when they left than it was before they started! Thanks for taking such great care of us through this project, guys! Huge shout out to Jordan for going above and beyond to repair our 1974 plumbing!! Even managed to track down the only 2 remaining parts in all of Canada!! You are awesome, thank you Jordan and Graham for helping us out! 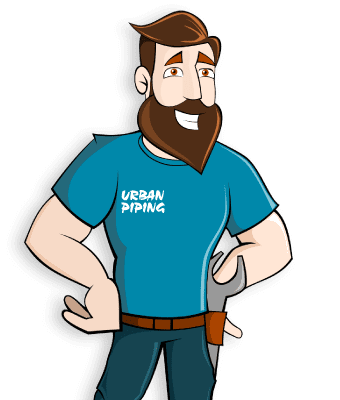 Highly recommend Urban Piping Ltd.
Jordan from Urban Piping came over to do a complete drain cleaning service to our home because we were having problems with the bathroom sinks and drains draining slowly. He was in time, very friendly and cleaned every drain in our home. He also found that there was a problem with a seal in our master bathtub and fixed that for us too. Quick, easy, and great price on the service. Good job guys. Very good on the plumbing and pipe replacement side of things. Ok on the drywall work. Professional and friendly staff, have used them on multiple occasions to help install a new water tank and a few emergency calls. Would highly recommend to everyone! We contacted Urban Piping to complete a poly-b remediation in our home. Graham was very knowledgeable and answered all of our questions before the work began.We really appreciated Urban Piping going above and beyond including using an air scrubber during the project to keep the house clean. They made every effort to give suggestions throughout the project and worked very hard to get the work done in a tight timeline. Graham personally came back to our house when the project was complete to discuss the invoice and any final questions or problems we might have had. You don't normally get this kind of service from other contractors and it definitely put us at ease. We chose to use Urban Piping because of their impressive experience with poly-b remediation and because they answered every question we had and made sure we were completely satisfied. We would absolutely recommend them to others for this work to be completed in their home. Graham and his team were fantastic! His calm demeanor coupled with his excellent service made our Poly-B replacement as stress-free as possible. The attention to detail is unsurpassed. He reorganized our shut-off valves to make them more accessible, brought the plumbing up to the current code, totally protected our home and furnishings, and left the home in almost spotless condition. Having the big air scrubbers constantly on to remove the dust, the plastic walls cordoning off areas and the great clean-up crew made coming back home a great experience. On time and on budget too!!! I'd recommend Urban Piping to everyone for Poly-B remediation. I cannot express my admiration enough for this company. Came home to a busted leaking water tank, and with a way after hours call to them (expecting a machine and instead, chatting with the owner) had arranged a replacement the next day. He showed up when he said, and was in and out in 1 .5 hours complete ( I had drained the tank ahead of time) An absolute professional job, and very cognisant of keeping carpet and floors clean. I would not hesitate for a second to recommend Urban Piping Ltd. for any water tank replacement or any other job for that matter. Thank you Graham, you have a customer for life.Richard S.